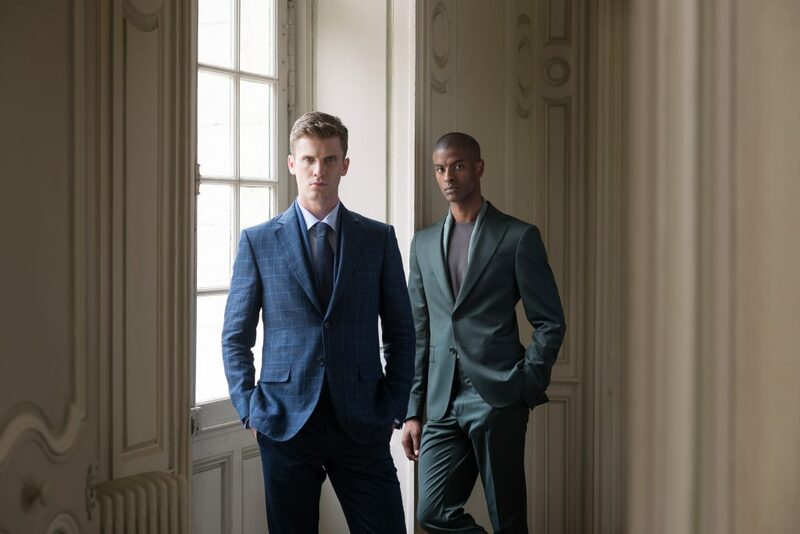 There is much to consider when customising a suit, but one aspect has the edge. When it comes to specifying the lapels, there’s an art to it. It cannot be overstated: the lapels on a jacket can be the making of the entire suit. Pitched correctly, cut to the perfect shape, they can elevate a jacket from being merely well-made, to boasting an exquisite fit. When specifying a lapel, bear in mind its details have potential to become your personal style signatures. Small tweaks and touches can speak volumes while never having to shout. Use colour sparingly, but with confidence; pick out small details but don’t overplay them; be inventive but be wary of dating a suit too fast with fashion fads. Above all, be classic, not clever. 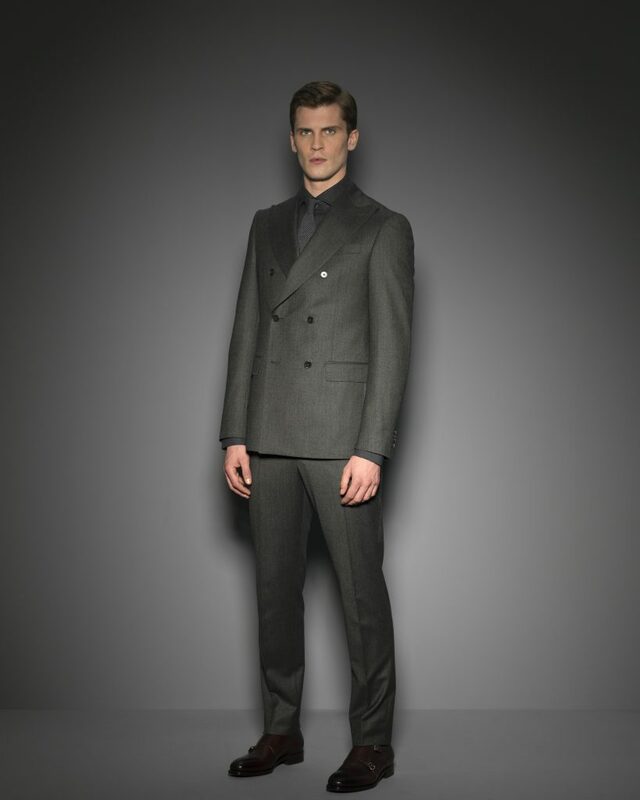 As a rule, the width and shape of a lapel are the first details to specify. A wider lapel adds flair, puts the tie centre stage, and works well on taller, well-built men. 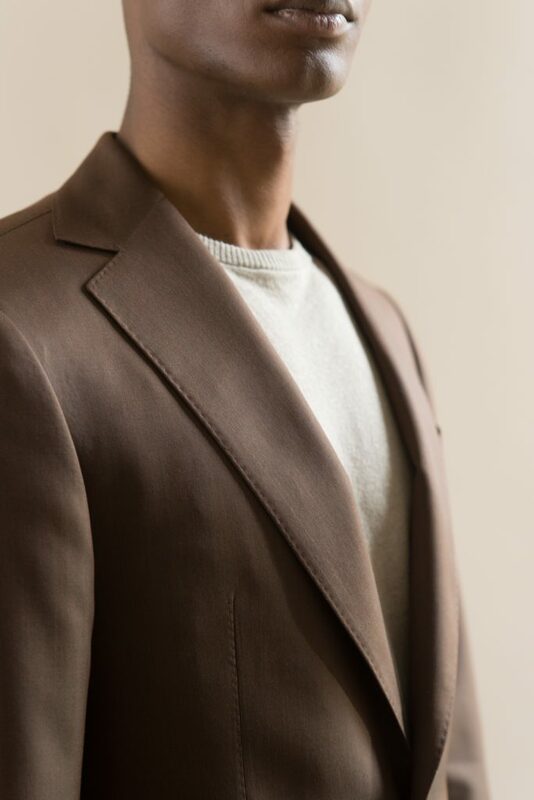 A narrower lapel has an elegant, somewhat more directional feel that often suits younger wearers best. 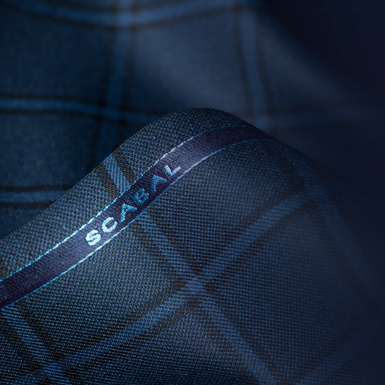 Consider the merits of hand-stitching, even in an accented colour which, when used on the edge of a lapel and around pockets, can discreetly highlight the craftsmanship involved in the making of the suit. 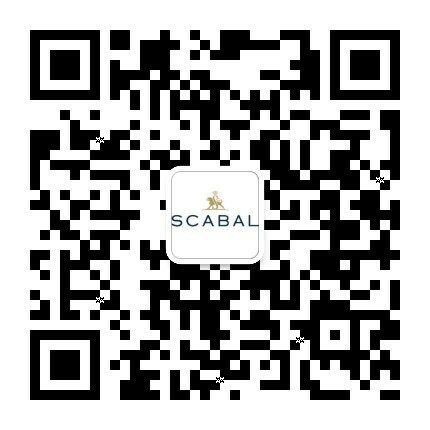 A look best reserved for plainer materials, take care not to go overboard. Material is crucial, of course. 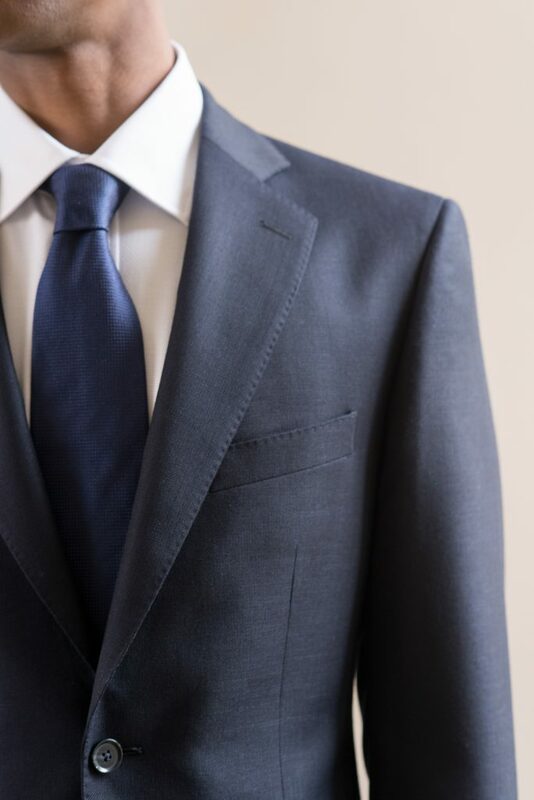 For dressier suits and tuxedos, it can be nice to pick out the tie’s materials on the lapel – a satin or a grosgrain for instance, adds a smart contrast for an evening look. 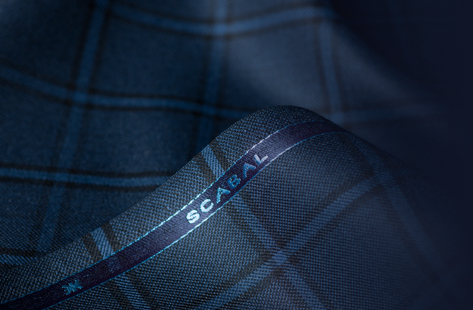 Finally, consider hidden details such as under-collar embroidery, monogramming and linings – it is these little secrets on a bespoke suit that ultimately lift the soul, not everything has to be on show, after all. 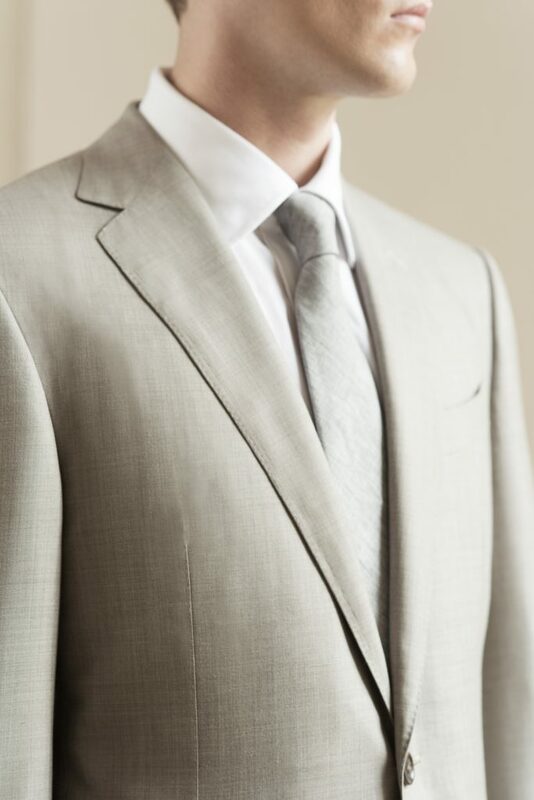 Our expert tailors and visiting tailors will be delighted to help you personalise your ideal suit. Choose the perfect lapel for each style, be it business, casual or even eveningwear.